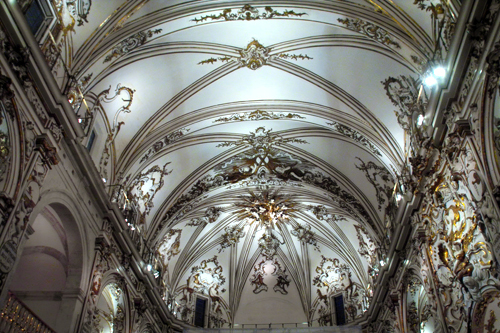 A couple weeks ago, we visited the Iglesia de San Martín and were introduced the Glory of the Baroque — Valencia’s incredible effort to restore a number of central churches to their former glory. 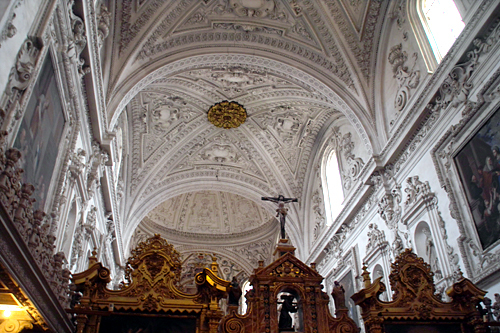 This past weekend, we had a chance to see a 2nd church given the treatment: San Juan de la Cruz, on C/ Poeta Querol 6. It’s hard to imagine, but the newly restored interior of this church — closed for renovation for the last 50 years — is even more remarkable than San Martín. Again, gold and white are the dominant colors. The church’s interior is absolutely resplendent and truly captures the glory of the days of the kingdom. 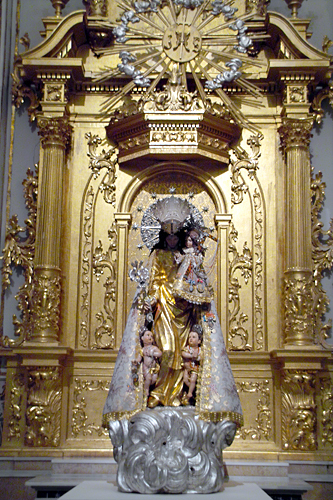 La Iglesia de San Juan de la Cruz was one of the first Christian churches constructed after James I’s conquest of Valencia. As was often the case, it was built on top of a former mosque. The current form of the church dates from the early 17th century. 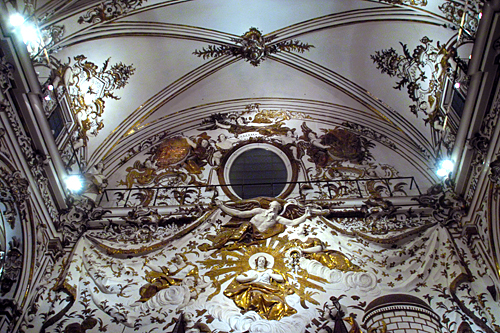 The Glory of the Baroque runs until September of this year, and if you’re in Valencia, it’s an absolute must-see. 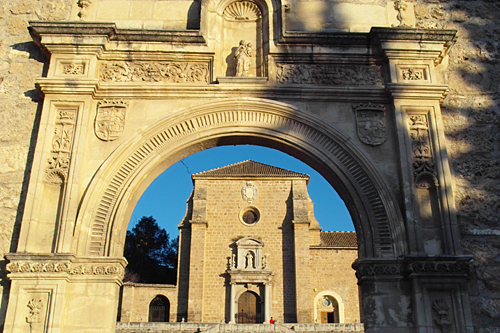 After the city cathedral and royal chapel, the most important religious building in Granada is La Cartuja, on the grounds of the University. The name derives from monks of the Carthusian order. Very serious, very austere and, apparently, very given to be murdered in the most barbaric ways imaginable. If you are into Monk Torture… well, you should probably get some serious counselling, but before you do: indulge in one last fling at La Cartuja. 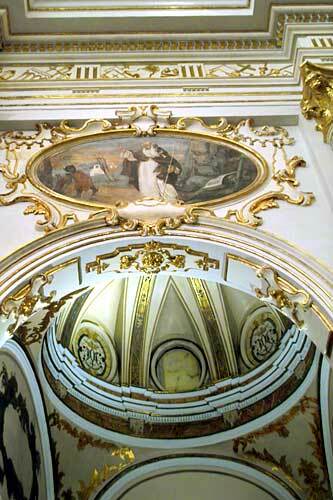 Stabbed, shot, disemboweled… the complex is decked out in paintings of holy brothers being slain. 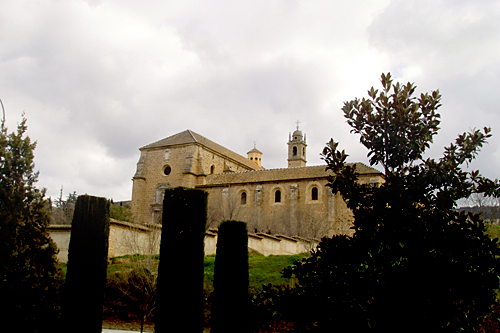 Besides the awesome Monk Death paintings, the Cartuja is worth visiting for its chapel and sacristy, constructed in the 18th century. The Carthusians are some kooky mother fuckers. Even today, they live a life of seclusion and quiet prayer, as cut off from the outside world as possible. 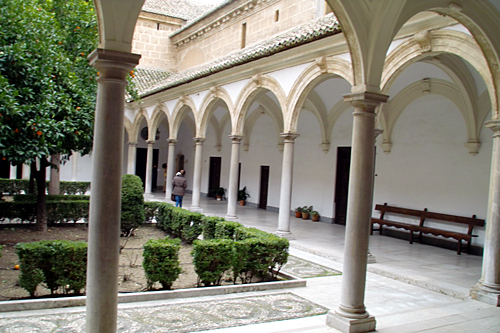 Their order in Granada is no longer active, but there’s one near Valencia — the Porta Coeli Charterhouse. If you’re interested, a recent movie about Carthusians won a lot of awards: Into Great Silence, by Philip Gröning. 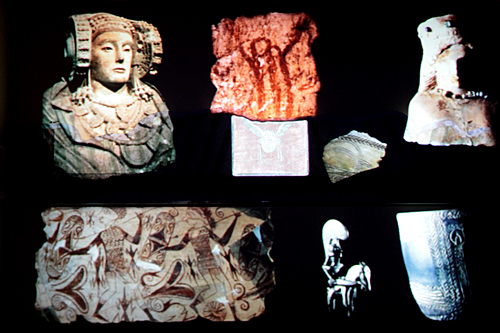 A Valencian foundation called The Light of the Images was created in 1999 with the mission of restoring and exhibiting aspects of Valencia’s rich cultural heritage. Their latest project is called The Glory of the Baroque — an exhibition which runs through three of the city’s oldest churches. On Sunday, we went to the Church of Saint Martin, which had been under renovation for a very long time. The church dates from the 14th Century and its restoration is, indeed, glorious. 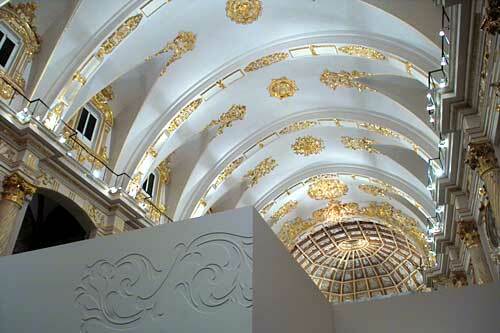 White and gold dominate the interior; marvelous, bright golden designs cover the ceilings. 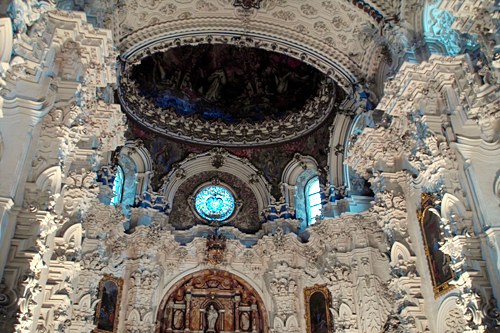 The paintings, sculptures and walls have all been renovated or restored and the church almost feels as though it had just been built. Literally breathtaking: both Juergen and I gasped upon entering. 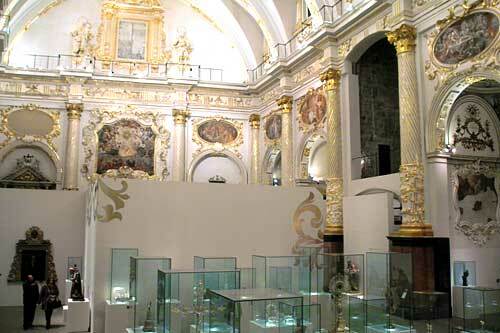 The church has been converted temporarily into a gallery, with centuries-old religious ornaments and curios on display alongside intricate garments. You can even ascend a terrace in the main chapel and look down on the church from above. 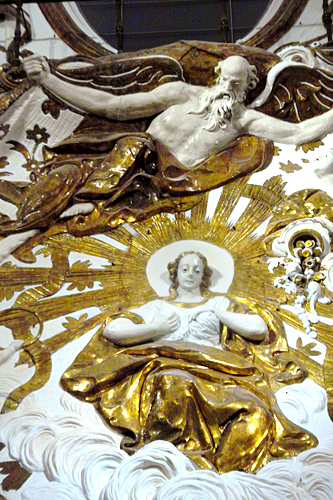 The Light of the Images is doing fantastic work, and you have plenty of time to enjoy it; the Glory of the Baroque runs through September, 2010. 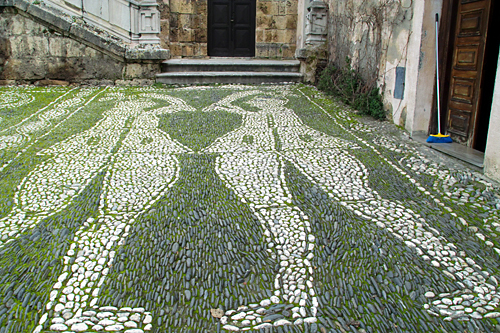 If you’ve walked around the city center recently, you’ll have noticed a baroque white path on the sidewalks. 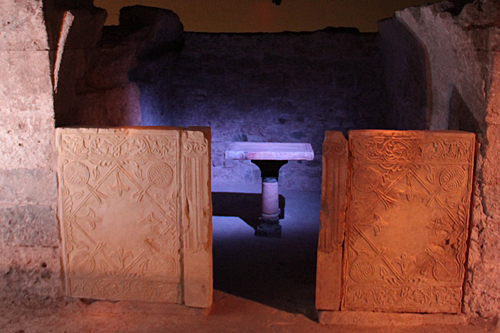 It leads to the different churches in the exhibition. 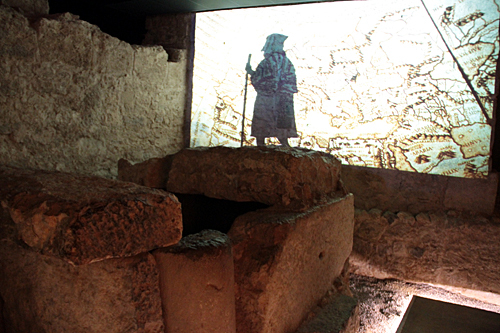 Yet another must-see in Valencia!